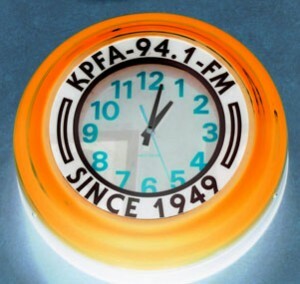 KPFA’s Spring Fund Drive just ended. But if you missed it, there is still time to show your support. You rose up and did all you could to make this drive a success. And so KPFA is rising to the challenge to offer you “Uprising,” a show new to the Bay Area hosted by “Up Front” co-host Sonali Kolhatkar. During its trial run this week, it generated the most consistent support of any program during the drive. You spoke and we listened. By offering “Uprising” every weekday at 8am and presenting the Morning Mix hosts later in the day, we’ll be doing our part. Please continue to do your part right now at www.kpfa.org. We have dozens of amazing thank-you gifts on offer at kpfa.org – including the KPFA Spring Speech Pack, featuring fascinating talks, including some from the KPFA Events Series. The collection includes gifted individuals such as Jane Goodall, Matt Taibbi, Nomi Prins, Ali Abunimah, Thomas Piketty, and Peter Dale Scott. The Events Series is just one of the many services, from the KPFA Crafts Fair to the Apprentice Program to the website archive of every KPFA program, which only KPFA makes available to you. Join the thousands of listeners who’ve already pledged to support the programs and services that KPFA and KPFA alone has to offer. The drive may have ended, but all the good work must continue –give now at www.kpfa.org.